Your 4×4 is standing and gathering dust. Your heart is restless. The you hear about Zambia. Zambia is the forest butterfly of Africa. A magnificent and beautiful country with the friendliest, peaceful people in Africa. There’s been no civil war, uprising or fighting in a century. 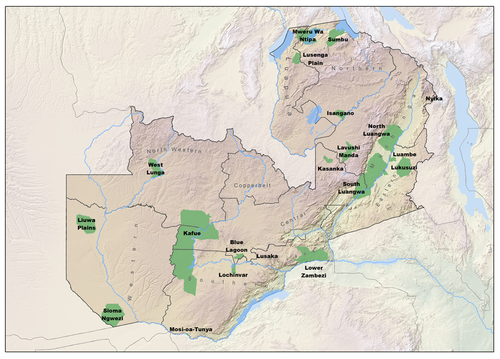 Its geographic shape looks like a butterfly and only the DRC, Sudan and Angola have more forest, as referenced here. 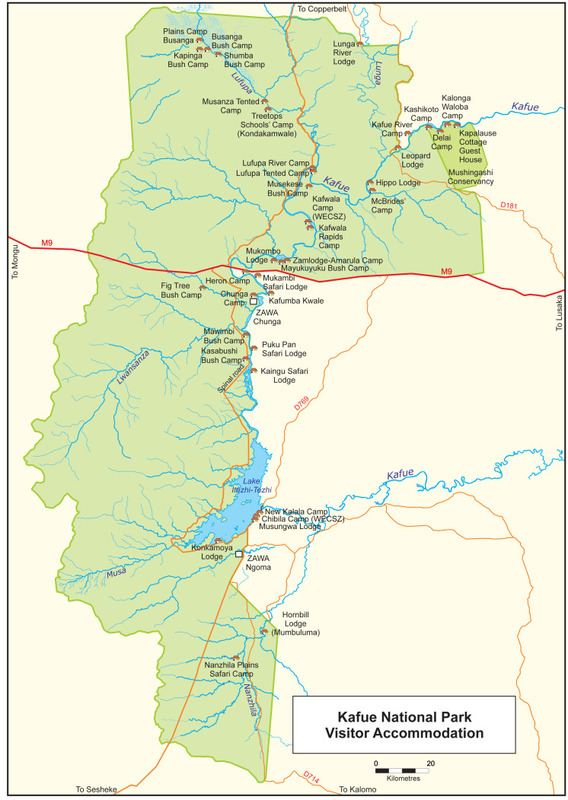 Zambia has twenty national parks, marked in green on the map, of which Kafue National Park to the left is by far the largest with 22k Square kilometres. Of the twenty parks ten have management structures of various forms and the rest are gems waiting to be saved. When you yearn for Africa the Kafue answers. The Kafue is also Zambia’s oldest park. It still lacks somewhat in infrastructure to other parks and the roads suggest a robust and four-wheel drive vehicle. This is of course all the more attractive for those escaping from tourist spots and civilisation in general, wishing to experience the raw pulse of Africa. Large unexplored tracts of virgin bush with a huge diversity in bird and wildlife put it on the list of ‘must experience’ places in Africa. It is a difficult place to navigate in the rainy season with black cotton soil, lots of water and most camps closed. This entry was posted in africa, zambia and tagged africa, Kafue, zambia.